Stephen’s practice focuses on all aspects of real estate and condominium law, acting primarily in the area of condominium land development, as well as general counsel to condominium corporations. Stephen is a frequent lecturer on issues related to condominium law on behalf of the Law Society of Upper Canada, the Ontario Bar Association and the Canadian Condominium Institute. Stephen served as Past President, Toronto Chapter of the Canadian Condominium Institute and was a Director on the National Board of Directors of the Canadian Condominium Institute. 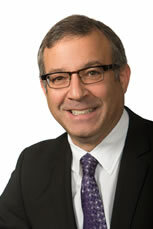 Stephen was awarded the title of Fellow of the Canadian Condominium Institute (F.C.C.I.) in 2005 for meritorious service to the condominium industry. Stephen has authored and co-authored numerous articles on condominium law on behalf of the Law Society of Upper Canada, the Canadian Bar Association (Ontario) and the Canadian Condominium Institute.